A motion due to be proposed at the upcoming meeting of the Concordia Student Union will attempt to resolve the lack of representation on council for Fine Arts students, one week after the Fine Arts Student Association met to discuss possible responses to the situation. At their first meeting of the year, FASA debated possible actions to be taken in response to the lack of representation on the CSU. Where the faculty would normally have three representatives, a recent byelection in which no Fine Arts student ran and two councillors were forced to resign means that Fine Arts students have been left with no one to represent their interests on council. In late October, Laura Glover, a councillor and former VP student life and sustainability, stepped down citing a heavy workload as her reason for leaving. At the meeting, FASA VP clubs and services Erika Couto brought up the issue and opened the floor to possible suggestions. Executives and councillors expressed a variety of responses, including informing Fine Arts students of the situation via newsletter, attempting to withdraw themselves from the CSU in protest and even the possibility of seeking the impeachment of certain councillors. Finally it was decided that members of FASA would attend the CSU’s next regular meeting to raise the issue and voice their concerns. The executive would also invite VP internal and clubs Nadine Atallah to attend FASA’s next regular meeting to help explain why the byelections were not better advertised to Fine Arts students, a factor that led to no candidates running for the one seat available. 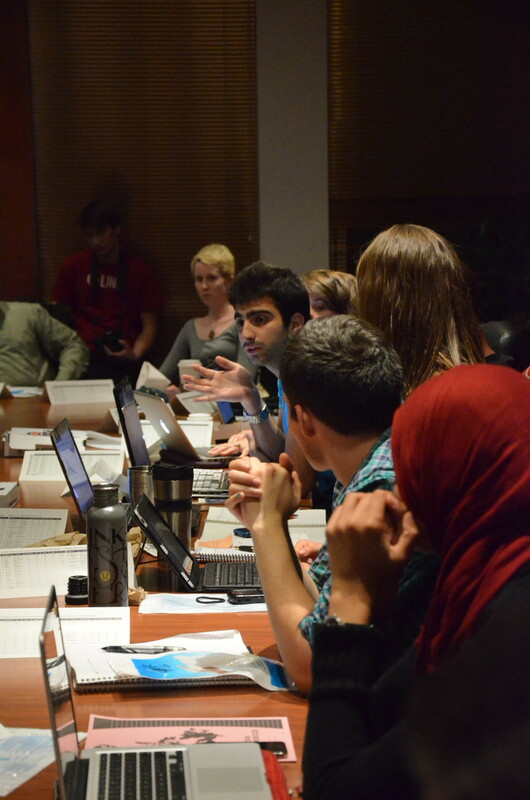 On Thursday, however, CSU President Schubert Laforest contacted Couto to explain that a meeting had been held to come up with possible solutions, and that after consulting with the policy committee, one had been decided on. Laforest explained that the idea involved changing the standing regulations of the CSU in order to allow the faculty to appoint a representative to council in the event that no student from that faculty is sitting on council. “Basically it would be to add a new stipulation to the Senate regulations whereby in the event that after both annual general elections there was still no faculty representation from any given faculty, the corresponding faculty association would be given the ability submit someone to be appointed to council to represent the faculty,” he said. Laforest explained that the way a representative would be chosen was left purposefully vague, to allow the student faculty association freedom to decide the matter in their own way without any involvement from the CSU. The motion, which is due to be discussed and voted on at the upcoming CSU meeting this Wednesday, would allow for some kind of representation for Fine Arts students on council, a fact that Couto says she welcomes. Couto also said that many FASA executives had reacted positively to the proposal, and that they would attend the upcoming meeting to see the motion debated.